There are not many names that are more iconic than Bobbi Brown in the beauty industry. 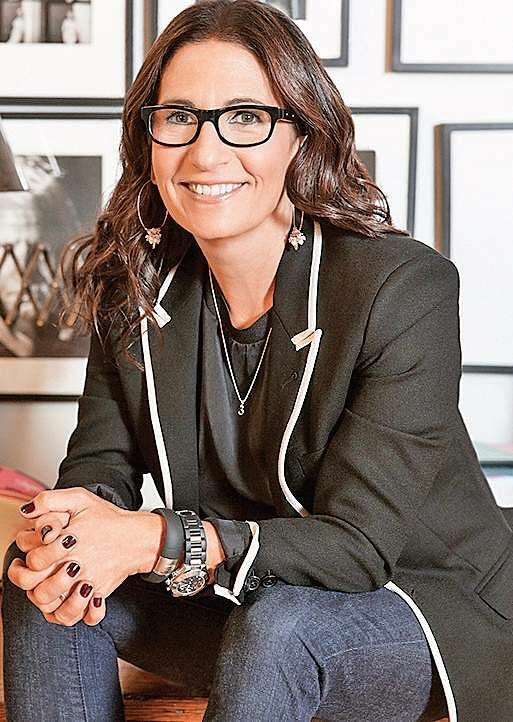 There are not many names that are more iconic than Bobbi Brown in the beauty industry. Yet, in 2016, she stepped down from her role as Chief Creative Officer of her namesake brand, and in 2017, set up Evolution_18, a wellness label that works on beauty from the inside out. The irony is not lost on Bobbi. But health and beauty are two things, she says she always felt strongly about. Bobbi’s ‘less-is-more’ approach to make-up was evident right from when she started her brand. In 1991, she launched a line of lipsticks that imitated the natural colour of lips, and retailed them out of Bergdorf Goodman in New York City. “When I was pregnant with my first child, I realised I didn’t want to travel as an editorial makeup artist anymore. Thanks to my years of experience on set, I came up with a simple idea for a lipstick that actually looked like the colour of a woman’s lips. I started by designing 10 brown-base shades that could be blended and mixed to create unique and individual hues. It was a simple concept, but one that seemed revolutionary at the time. I expected to sell 100 lipsticks in the first month and ended up selling 100 on the first day,” recalls Bobbi, who is in India as part of India Make Up Show, curated by Brothers Incorporated. From there, the brand grew into a phenomenon, and became the go-to for achieving the ‘natural’ beauty look. “I have always believed in individual beauty. It’s not about someone else’s ideal but is about being healthy, and happy, and unique — that makes someone beautiful. Make-up is meant to enhance your natural features, not cover them up. It should make you feel good and it shouldn’t be something you use because you think something is wrong with you,” shares Bobbi. Having started her career as a freelance make-up artist, who worked with numerous celebrities, models and fashion magazines, Bobbi has seen the industry transform and adapt, from the loud and dramatic ’90s to the more classy and subtle aesthetic we are accustomed to today. It could be argued that it was Bobbi Brown that really opened up the industry to make it more inclusive, by catering to a wider range of skin tones and ethnicities with an extensive line-up of foundation and lip colours. But with Evolution_18, Bobbi is sending out a strong message, that what you put inside is much more crucial to what you look like on the outside. A collagen-based collection, some of the key products of Evolution_18, include an effervescent tablet made with hyaluronic acid to boost the skin’s moisture and a collagen and protein powder that benefits hair, skin, and nails, and gives you energy. “I think the clean beauty movement has been huge. People are starting to realise that what you put inside your body is just as important as what you put on it. It’s really cool and I think it’s going to continue to grow,” shares the American entrepreneur.